May 2017 - Patent my French! Today’s post will be relatively short, I think, as it will merely confirm a trend already noted in earlier posts for instance here, here and there. The trend is that, yes, it is incredibly difficult to win a patent nullity case based on public prior use. On April 4, 2011, Grenoble-based company Smart & Green (formerly IPW Europe) filed a nullity suit against Mr. Christophe Frilley, owner of French patent No FR 2944858. It took 6 years for the Paris Tribunal de grande instance (TGI) to issue a decision. But before a rumble of discontent starts spreading in the readership, I should add that the TGI judges cannot be blamed for this long period of time, based on what I could gather from the public inspection of the patent file. In fact, at the time the nullity suit was filed, the patent had not been granted yet. The judgment does not specify whether a formal stay was pronounced, but at any rate the case could certainly not progress until the grant of the patent. In addition, the plaintiff apparently also filed a claim for ownership of the patent application. This led the French patent office to stay the grant proceedings, from May 2011 to September 2014, at which point the ownership claim was withdrawn, which led the French patent office to resume the grant proceedings. 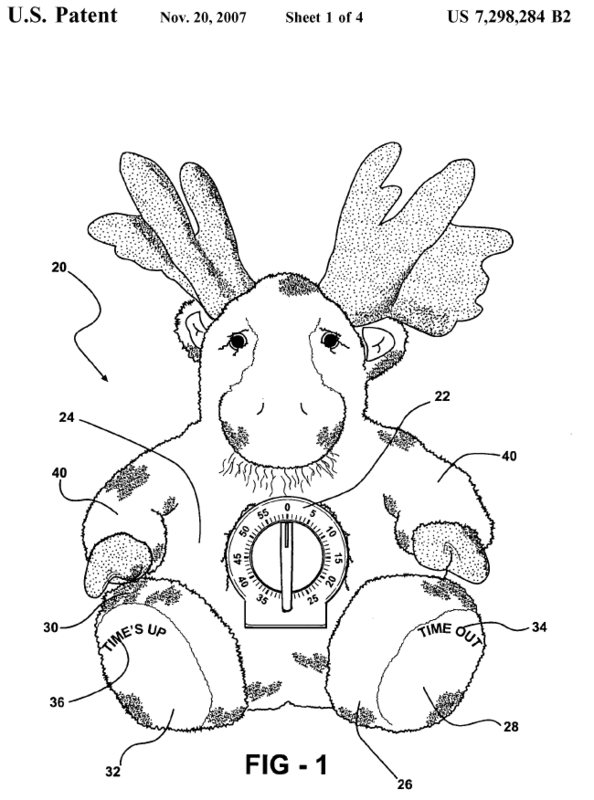 The patent finally issued in August 2015. A few days later, the patent proprietor filed a request for limitation of the patent, which was granted a few months afterwards. Foreign readers may wonder why the applicant did not simply amend the claims before issuance of the patent, as opposed to afterwards. The explanation is simple: there are only limited time frames within which an applicant can amend claims, in French grant proceedings. In this case, the relevant time frame had closed after the applicant responded to the preliminary search report back in 2010. Therefore, the applicant was unable to react to the plaintiff’s nullity arguments by way of a claim amendment in the grant proceedings. He had to take advantage of limitation proceedings after grant. Let’s now move on to the nullity arguments presented by Smart & Green. Looking for something smart and green? 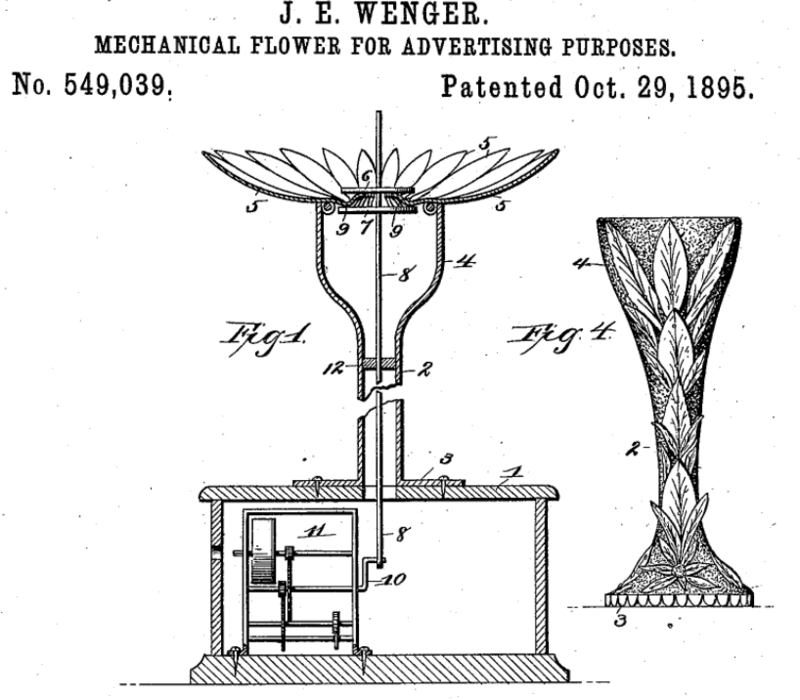 How about this 1895 “mechanical flower for advertising purposes“? The patent at stake relates to a lighting assembly. Smart & Green argued that the claimed invention had been disclosed in its so-called Rock lamp (for swimming pools) which was allegedly put on the market in 2008. The court was convinced that the Rock lamp was indeed made available to the public before the filing date of the patent, since at least samples of the lamp were sent to third parties for future marketing. However, there was not enough evidence that these lamp samples were according to the claims of the patent. In particular, claim 1 of the patent as limited mentions a plurality of diffusers which can interchangeably accommodate a lighting module, in a waterproof manner. But the documentation from 2008-2009 provided by the claimant did not clearly show whether this feature was present. By way of example, one email mentioned that any diffuser could be adapted on the lamp, but the court noted that it was unclear whether this meant that the Rock lamp was modular, as required by claim 1; or whether it simply meant that manufacturing could be adapted to include any diffuser. Smart & Green had also filed two Soleau envelopes in 2008 on a so-called Little Rock lamp (for a presentation of what is a Soleau envelope, see this previous post). But again, the product described in these documents did not clearly comprise interchangeable diffusers. The court was apparently more convinced that the feature at stake was indeed shown in internal development documents dating back to the summer of 2008. But these documents were not public and related to a so-called “IPW Lamp Project“. It seems that there was no evidence that the IPW Lamp Project was implemented in the Rock lamp which was made available to the public – or that it was publicly disclosed in any other way. This led the court to reject the public prior use challenge. 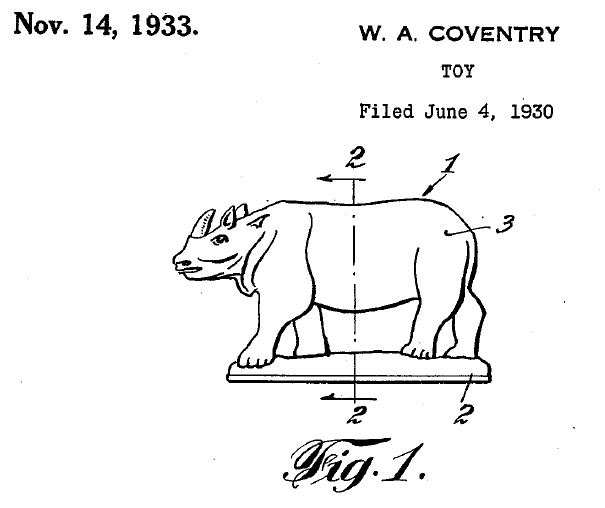 Fortunately for the plaintiff, they also had good old traditional prior art in store as well, in the form of a Japanese patent application and a European patent application. The court held that each of these documents disclosed most of the features of claim 1, except the two which were added in the limitation proceedings, per which the diffuser can interchangeably be fixed to the lighting module owing to clicking or screwing, and a sealing ring is provided between the lighting module and the diffuser. But these features were found to be obvious for the skilled person, even without referring to any specific secondary reference: the clicking or screwing fixation would be achieved simply based on common general knowledge, whereas the sealing ring was obvious to provide in view of the objective of supplying a waterproof lighting assembly. Claim 1 was thus canceled for lack of inventive step. The dependent claims were quickly reviewed one by one, and as we like to say in French, the baby was thrown out with the bathwater. I promised a short post, so now seems like a good time to stop. But the bottom line is that I am still looking forward to reading a successful public prior use argument these days. CASE REFERENCE: Tribunal de grande instance de Paris, 3ème chambre 2ème section, March 24, 2017, Smart & Green v. Christophe Frilley, RG No. 11/06949. Previously, in Actelion v. Icos Corporation (as they say in TV shows): Actelion filed a nullity suit against the French part of European patent EP’092 owned by Icos Corporation (belonging to the Eli Lilly group) and relating to a particular formulation of the blockbuster drug tadalafil. Icos disputed Actelion’s standing. Actelion prevailed, except regarding some dependent claims relating to therapeutic uses of the formulation unrelated to Actelion’s business. Today’s episode is dedicated to the second legal defense brought by Icos, based on the French statute of limitations. Icos argued that Actelion’s action was time-barred – successfully so. A few years ago, the statute of limitations was never brought up as a legal defense in nullity suits in France. In fact, the Code de la propriété intellectuelle does not contain any specific limitation provision regarding nullity claims – contrary to, e.g., infringement claims. Everything changed further to the reform of the Code civil enacted in 2008. Amended article 2264 now provides that “personal or real actions are time-barred five years from the day when the owner of a right knew or should have known the facts making the action possible“. In other terms, the general limitation period in ordinary civil law is five years. Numerous exceptions are provided in specific areas of the law, but as mentioned above, no exception is provided for nullity patent suits. On the other hand, before the 2008 reform, the general limitation period was 30 years. Therefore, whether or not the general limitation period applied to patent nullity claims was irrelevant since it exceeded whatever time was needed by nullity plaintiffs anyway. But a few years after the reform, litigants started to realize that the new statute of limitations had become a thorny issue in patent invalidity lawsuits. If I recall correctly, I was skeptical the first time I heard about it, because it intuitively seemed wrong that a patent nullity claim could possibly be time-barred. But soon enough, everyone had to acknowledge that the 2008 reform had had unintended but far-reaching consequences in patent law, and that nullity claims could now be time-barred. As an important side note, this does not mean that defendants in infringement suits are now unable to fend off a claim based on an invalid patent. It is always possible to raise invalidity as a defense (or exception) to an infringement claim. But a revocation counterclaim may be time-barred. In such a case, the invalidity of the patent may be acknowledged by the court without any erga omnes revocation. As far as direct nullity actions are concerned, they are of course fully impacted, as they may be held entirely inadmissible if time-barred. Not only is this situation unsatisfactory, but a major problem is then the determination of the starting point of the limitation period. In this respect, court decisions over the past few years have been all over the place. We do not know for sure whether the Actelion ruling will be held in the future as representative of “established case law” or whether it will be reversed or ignored. But since it is probably the most recent judgment on this sensitive question, I view it as of today as a reasonable reference for predicting future cases. It is now time to go back to the particulars of the case. Freakier than the Donnie Darko rabbit: the time-bar moose. Like a tort action (which it is admittedly not), a [patent nullity action] has a function of cessation of the unlawful, in the competition relationship between the parties (said unlawful being here made up of a legal act the validity conditions of which are not fulfilled), and it is thus appended to a relationship of quasi-tort obligation. In this sole respect it pertains to the category of personal actions. This category is in fact broad as it is the category of ordinary law, whereas real actions are in a determined number. The fact that nullity, with its erga omnes effect, incidentally serves a general interest does not legally imply that the action should not be subjected to a limitation period. Neither does the fact that it is open to all, as it is not limited to a certain person, contradict its personal character, as the plaintiff must justify its personal standing and only pursues a personal interest with its action. Then comes the central issue of the starting point of the limitation period. Many propositions have been made in this respect: publication date of the application, grant of the patent, actual knowledge of the patent, etc. The starting point of the limitation period must thus be set to the day, which is determined in concreto, when [Actelion] knew or should have known, in view of the progress of their research and of the seriousness of their project […], that the EP’092 patent could possibly thwart said project. Therefore, neither the publication of the grant of the patent (which would in fact require an unrealistic watch for market players and is unrelated to the development of the project conferring standing), nor the knowledge of the grounds of nullity of the title (which may be significantly before the knowledge of the facts and economic considerations giving rise to standing and in practice goes back to the publication of grant) are appropriate starting points. Instead, a full appraisal of the facts and circumstances of each case is necessary. In this respect, a strong parallel was made between the appraisal of standing and the starting point of the limitation period. The way I understand the judgment, the limitation period starts running when the party acquires standing to sue. This has the advantage of ensuring overall consistency in the assessment of the admissibility of a nullity action. On the other hand, on a practical standpoint, I think this approach makes it extremely difficult for a party to determine whether they are time-barred from starting a contemplated nullity suit. Indeed, as explained in the previous post, the appraisal of standing is complex and seems to rely on converging lines of evidence depending on the plaintiff’s research and commercial projects. It is already hard to guess in advance whether the court will be satisfied that the projects are sufficiently precise and advanced for standing to be acknowledged. But determining when exactly the party’s projects became sufficiently precise and advanced looks like a game of roulette to me. Another drawback of the court’s approach in Actelion is that the knowledge of the grounds of nullity was explicitly not taken into account. But in order to decide whether to claim the revocation of a patent, you not only must have an interest in putting this claim forward, but you also need to find actual reasons why the patent should be revoked. Most of the time, a careful review of the patent and a full prior art search should make it possible for a diligent party to determine such reasons. But there are certainly more complex situations, where the existence of a ground of nullity may be incidentally revealed, e.g. by way of a testimony, experimental tests or the like, at a certain time which may be too late for launching a nullity suit. Let’s now examine how the court applied the general principles set forth above to the present case. a marketing authorization (MA) for Adcirca granted to the Eli Lilly group on October 1, 2008 (Adcirca apparently corresponding to the formulation of tadalafil protected in EP’092, for the treatment of PHTN). The court considered the 2005 article as “too early to characterize a real business interest of the plaintiffs“, but on the other hand as indicative of a “real scientific interest for this type of combination therapy“. The court further noted that the 2010 annual report confirmed that there was continuing research in this field. The patent application of 2007 was seen as evidence that tadalafil had been identified as an interesting compound for combination PHTN therapy and had been the subject-matter of serious research. […] Actelion, as a leader in the treatment of PHTN, and using tadalafil in the combination therapy which had been under development for more than 3 years, could not possibly ignore the marketing of a directly competing drug, and see in it, and therefore in the patent that the drug implemented, a serious threat for its economic activity. In their submissions, Actelion argued that the limitation period could not start running until their development projects became sufficiently specific in order for the EP’092 to be identified as an obstacle. But the court rejected this argument, noting that this requirement was not taken into account for the appraisal of standing and thus could not be taken into account either for the appraisal of the limitation period. The limitation period could thus start running even before potential R&D on the formulation claimed in EP’092 – and in addition there was no evidence that such specific R&D was indeed conducted at a later stage, according to the court. Again, consistency between the two admissibility requirements was given a paramount importance in the court’s reasoning. In particular, the court found that there was a contradiction in the claimants’ position since, on the one hand, they presented their combination therapy trials as relevant to characterize their standing, and on the other hand they deemed that their 2007 patent application claiming tadalafil in a combination therapy was not representative of a serious business interest. the plaintiffs knew or should have known that the EP’092 patent could represent an impediment to their business and could be asserted against them by the patentee. The action was thus deemed inadmissible. Again, on a practical standpoint, this outcome is very unfortunate, as nullity actions are a useful tool of economic regulation, skimming legally unfounded monopolies. And on a theoretical standpoint, several points in the judgment are surely open to criticism. But the worst part of it all is probably the legal uncertainty entailed by such a complex and fuzzy appraisal of both standing and the starting point of the limitation period. This is not good news for decision makers. So, we will have to watch out for further decisions on this topic. An amendment of the statute opening the door more broadly again to nullity claims might in fact be the best way forward, but I do not think that this is in store. CASE REFERENCE: Tribunal de grande instance de Paris, 3ème chambre, 1ère section, March 16, 2017, Actelion Pharmaceuticals Ltd. & Actelion Pharmaceuticals France v. Icos Corporation, RG No. 15/07920. When it comes to nullity actions in France, there are two topics which have been ultra hot for a few years, and which I think have not yet been addressed on this blog. Maybe precisely because they were too burning hot. The first topic is standing, and the second one is the statute of limitations. Both are major stumbling blocks on a third party’s way to a preemptive strike. A recent judgment by the Paris Tribunal de grande instance (TGI) in a pharma case addresses both topics, head-on. Therefore, now seems to be a good time to finally venture into these hazardous waters. In the case at hand, Actelion Pharmaceuticals filed a nullity suit against the French part of European patent No. EP 1200092 (EP’092) to Icos Corporation (a company of the Eli Lilly group) in June 2015. The patent proprietor challenged the admissibility of the action because they said (1) the claimant did not have standing and (2) the action was time-barred. So, where do we stand on standing? Since a famous Barilla case a few years ago, courts seem to have gotten tougher on the appraisal of the standing of nullity claimants, and much ink has been spilled on this topic. […] The standing to file an action for nullity of a French patent or of the French part of a European patent must be appraised under the requirements of ordinary law and therefore must be personal, legitimate, actual and current on the day the complaint is filed. However, posterior evidence can enlighten the court on the situation at this date or even enable a regularization […]. This latter point is interesting. It suggests that even in the absence of standing on the day the complaint is filed, the action may still be admissible if standing can later be acknowledged. By way of example, it is conceivable that the patentee’s behavior after the filing of the complaint may legitimize the lawsuit. The existence of the claimants’ standing must be appraised in view of the object and purpose of the action for nullity of the patent […]. 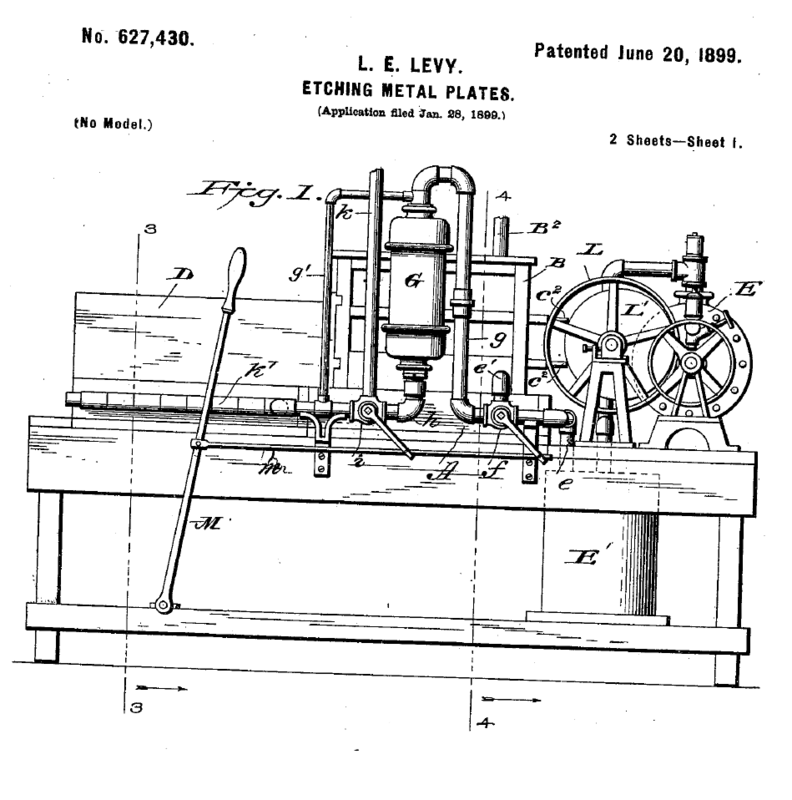 The grant of the patent, whether it is a reward for an investment and a creative effort of the inventor, or for the disclosure of an invention, confers an advantageous monopoly to its owner which is legitimate and admissible in a context of free competition and free innovation only to the extent that its validity requirements are met. A nullity suit thus aims, for a competitor, at retroactively clearing the market of an unjustified obstacle and […] benefits to all when it is filed as a main action and is successful. In this context, the nullity standing must be assessed in concreto and in a flexible manner, in view of the general interest which the action serves: it must be acknowledged for any person who, personally, has an economic activity in the field of the invention which is effectively, or potentially but certainly, impeded by the claims the nullity of which is requested. In this respect, the nullity plaintiff must establish the existence of an actual and serious project which may be hampered by the patent, but does not have to establish effective marketing acts, let alone the existence of infringement in advance, claim by claim, by disclosing all of its technical advances; the advantage conferred by the nullity action […], namely the improvement of the legal situation of the plaintiff, lies in the certainty that they will be able, once their project is set, to engage in costly research necessary for the manufacture and marketing of a product which may compete with the invention, without risking being sued by the patent proprietor and without waiting for this to happen. In particular in the pharmaceutical field, standing borders a prevention interest which is objectively substantiated, as there is no justification for punishing a cautious competitor. In other terms a balance has to be struck. Unlike oppositions at the EPO, a nullity action may not be filed by any person. The claimant must have an actual and objective interest in the patented invention which must be clearly demonstrated, and this is to be appraised on a case by case basis. On the other hand, nullity suits are not exclusively reserved to actual infringers. There must be an incentive for competitors willing to clear their way before actually working the claimed invention or even before spending “costly research” to this end. At this point, it is probably time to have a look at the patent at stake, which relates to the drug tadalafil, the active substance in the famous drug Cialis for the treatment of erectile dysfunction. Tadalafil is an inhibitor of an enzyme called phosphodiesterase type 5 (PDE-5). It turns out that this active is also useful for the treatment of pulmonary hypertension (PHTN). Stop killing rhinos! There is no tadalafil in the horn. The EP’092 patent more specifically claims a particular formulation of the drug tadalafil, in a specific particulate form, as well as a method of manufacture. Claim 12 relates to this drug formulation for use in (any) method of treatment. Claims 13 to 19 are Swiss-type claims directed to the treatment of various sexual dysfunctions. Actelion is active in the field of the treatment of PHTN, one of the illnesses against which tadalafil is useful – and one which is of course different from sexual dysfunction. The court immediately noted that tadalafil may thus be an interesting molecule for Actelion; and that Actelion and Icos / Eli Lilly are competitors in the treatment of PHTN. But the court did not limit itself to this basic finding and examined in much more detail the evidence pointing to an actual interest by Actelion in the subject-matter of the patent. This position implies the existence of a threat which may be carried out in France and above all an objective link between the economic activity of the claimants and the French part of the EP’092 patent. an ongoing French clinical trial on a double combination therapy based on macitentan and tadalafil, as first-line treatment of PHTN. The two first studies in the list did not specifically involve tadalafil, but since tadalafil is a particular PDE-5 inhibitor, the court concluded that they were relevant. As for the two last trials in the list, they relied on the use of tadalafil and were therefore directly relevant. Interestingly, these two trials were initiated after the nullity complaint was filed. But the court found that they were nevertheless indicative of R&D work already initiated before that date and could therefore be taken into account for assessing standing. Contrary to Actelion’s […] submissions, each of these different elements in isolation is not sufficient to characterize their standing. But their combination demonstrates that the parties are indeed in a situation of competition on the market of the PHTN treatment, and that the latter may rely on the use of tadalafil and pertains to the technical field of the EP’092 patent, which is a second therapeutic use patent not limited to the treatment of sexual dysfunction, and that the combination [of tadalafil] with products which they market is the subject of research authorized in France. To this objective link with the EP’092 patent one must add the actuality and seriousness of the claimants’ plans in France, which do not require a prior commercialization nor a perfect correspondence with the patent’s claims and notably with the specific particle size which is claimed; as well as the threat against them which materialized in the UK. As a result, Actelion was found to have standing to request the revocation of claims 1 to 12 of the patent. However, regarding claims 13 to 19, the court concluded that there was no standing, as these claims specifically concerned the treatment of sexual dysfunction, and this was not a pathology field covered by Actelion. in this respect, one isolated piece of evidence does not seem to be enough, several converging lines of evidence are required. All in all, the appraisal appears to be extremely strict and it certainly does not encourage preventive nullity suits in any way, although those may be the most rational and effective way to settle a dispute before infringement actually occurs and damages may be incurred. In a next post, I will try to address the second aspect of the judgment, namely the statute of limitations – the aspect on which Actelion actually lost the case.